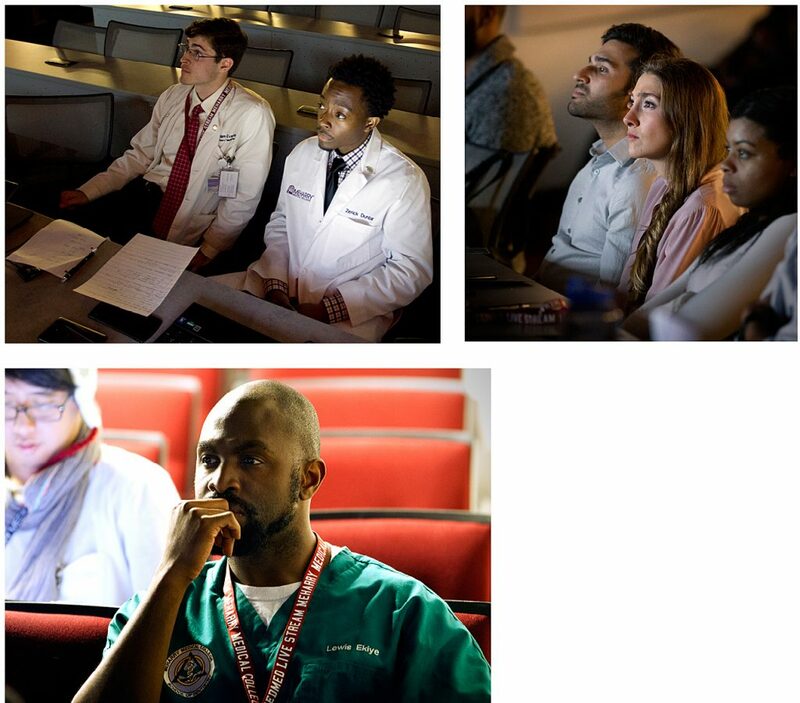 There was plenty of activity at Meharry Medical College this fall for students, faculty, staff, alumni and community members in which to immerse themselves. Here are a few images from some of the events in what proved to be a season packed with activities and seminars. 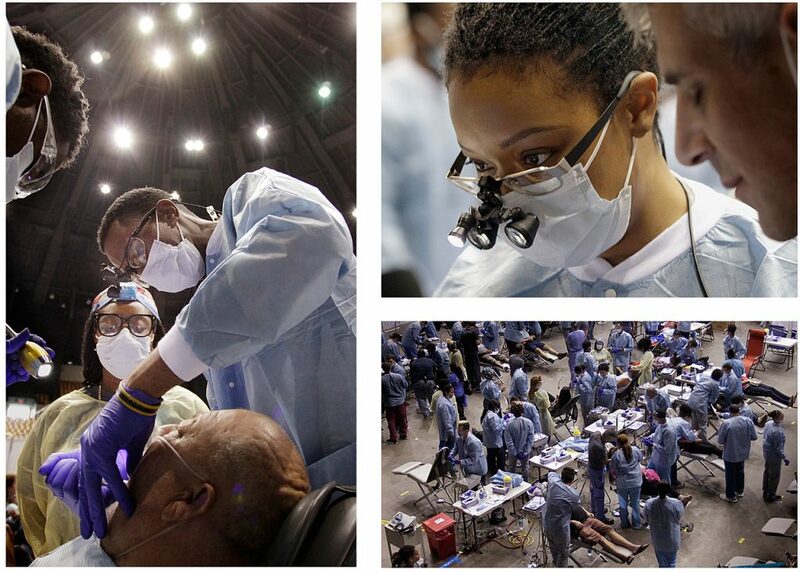 Free medical and dental care was provided to the underserved and uninsured from area health professionals—including these Meharry School of Dentistry students. Officially billed with the subtitle “Transforming Medical Education and Clinical Rotations to Include the Impact of the Opioid Crisis and the Implementation of Medically Assisted Treatment and Motivational Interviewing,” speakers included Marie Williams, Commissioner of the Tennessee Department of Mental Health and Substance Abuse Services (in the photo below). Sessions produced animated question-and-answer periods in a discussion of one of the major health care issues of our time. Sponsored by the Meharry Pre-Alumni Association, the event provided free food, health screenings, games and other activities for Meharrians and community members. 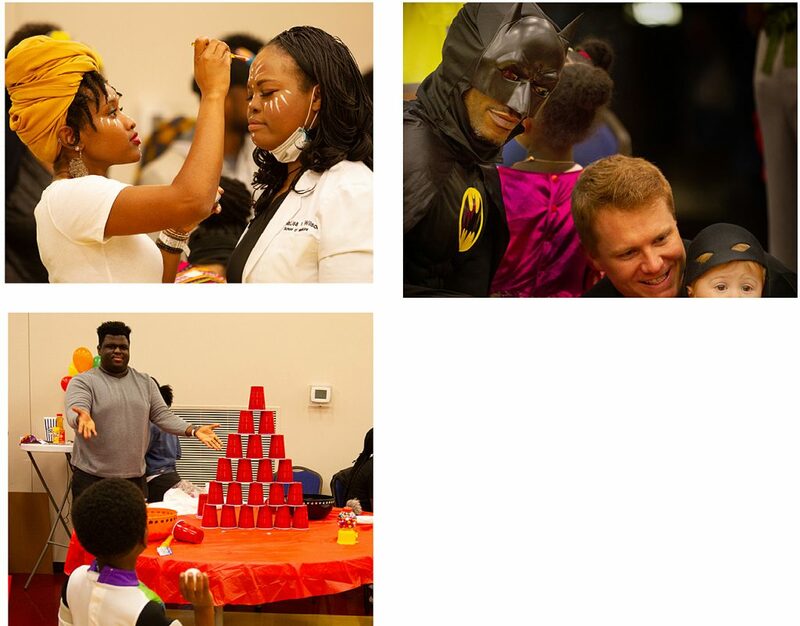 Sponsored by the Meharry Pre-Alumni Association and the Meharry Chapter of Collegiate 100, the annual event brings together community families and Meharrians for Halloween fun and health care screenings. 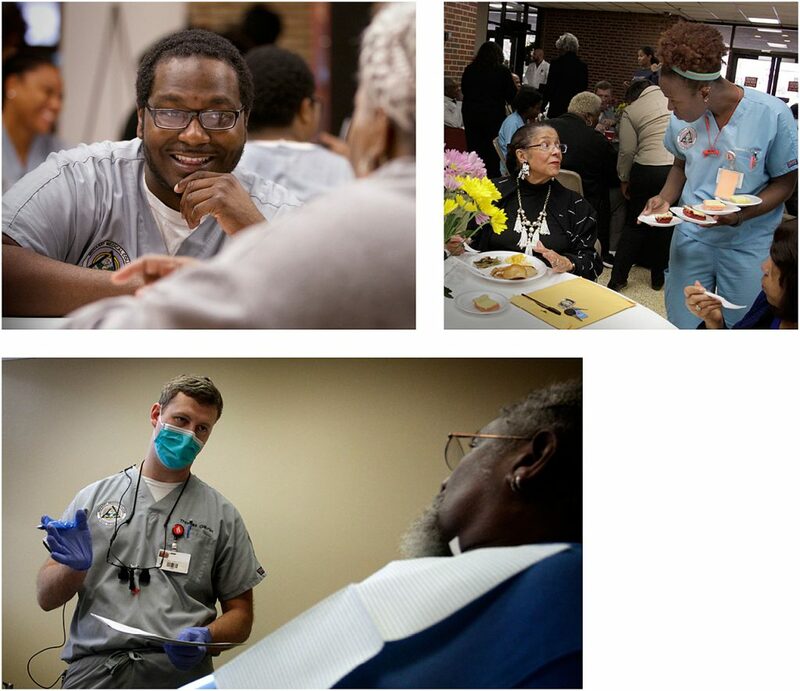 The Wilda Seibert Adopt-A-Grandparent Day at Meharry’s School of Dentistry celebrated 34 years of providing care to low-income seniors, including dental screenings and other services; founded in 1984 by Wilda Seibert, then a professor of dental hygiene at Meharry. The “Remembering the Good Times Alzheimer’s Symposium” featured BernNadette Stanis, star of the hit TV show “Good Times,” who told an audience at The Cal Turner Family Center for Student Education about her experiences as a caregiver for her mother who had Alzheimer’s. 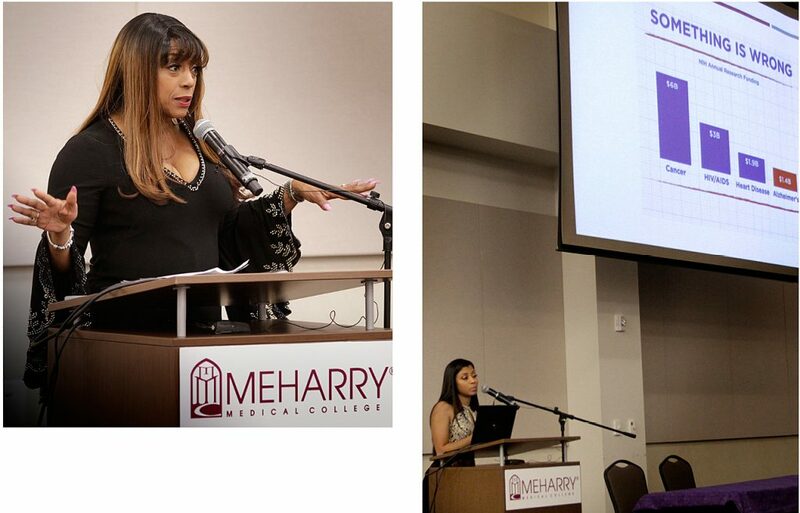 Brittany Fontana, Stanis’ daughter and a student in Meharry’s Master of Science in Public Health program, told the audience about the science behind Alzheimer’s Disease and the need for more research. In its second year at Meharry, the student-led event is presented in the Wayne J. Riley M.D. Auditorium of The Cal Turner Family Center for Student Education, with lectures featuring the most innovative minds in health care addressing the most challenging maladies today.